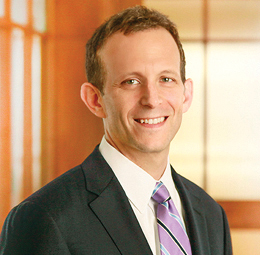 Seth Schimmel practices in the areas of construction and commercial litigation. He represents both plaintiffs and defendants in design and construction disputes and complex commercial litigation throughout the state of Florida. In his construction practice, Mr. Schimmel represents engineers, architects, commercial and residential developers, owners and general contractors in a range of litigation matters which include construction defect and delay claims, professional liability and errors and omissions, warranty claims and other contractual disputes. He regularly appears in Florida’s state and federal courts and before the American Arbitration Association and is a certified mediator. Mr. Schimmel also has substantial experience in drafting and negotiating construction contracts and counseling owners, developers, engineers and contractors on their administration. He has experience in both commercial and residential projects, including condominiums, office buildings, shopping malls, public facilities, power plants and highways. Lead counsel for international engineering firm in an errors and omissions claim in excess of $100,000,000, relating to the design and construction of bridge foundations for a reversible lane expressway. Lead counsel for national developer of residential condominiums in Florida state courts involving construction warranty and reserve claims for several hundred units. Lead counsel of residential developer in connection with design and construction claims of stormwater management system serving 1,100 unit residential development and golf course. Lead counsel for contractor in connection with claims in excess of $20,000,000 relating to hurricane remediation and repair work.